Four years ago, the Army abruptly ended a three-year program that had trained and deployed dogs to sniff out improvised explosive devices, with only weeks to bring the dogs home from Afghanistan and find them a new place to live. The transition didn’t go well, according to a Defense Department inspector general report released March 1, as the program lacked appropriate oversight and organization in general, and in particular lacked appropriate procedures for re-homing the dogs when the program ended. “It appeared the Army’s priority was to get rid of the dogs as quickly as possible,” the investigation found. By August 2014, six months after the program lost funding, all of the dogs had been re-homed, Army spokesman Maj. Christopher Ophardt told Army Times. Seventy were transferred to other Army units, 40 were adopted by handlers, 17 went to federal agencies, and 46 went to federal, state and local law enforcement agencies. Additionally, 47 went to private citizens and nine were reported as deceased. 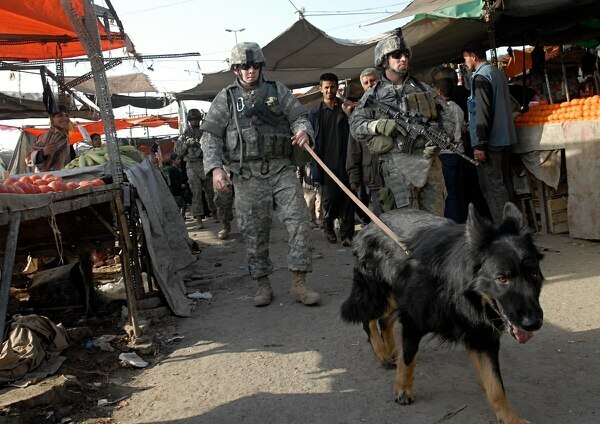 The Tactical Explosive Detection Dog program stood up as a non-traditional military working outfit, according to the report, because the specialized nature of the requirement for IED-sniffing dogs meant that the service wanted to make an exception for how the canines would be acquired and trained. “The Army determined that it could best satisfy the urgent Operational Needs Statement requirement by using Army resources to deploy the TEDDs as a temporary solution, rather than developing TEDDs over time as a budgeted program through the normal acquisition and programming process,” according to the report. Rather than bringing in dogs from the Air Force’s 341st Training Squadron, DoD’s official working dog pipeline, the Army secured its own contract to procure and train the dogs. 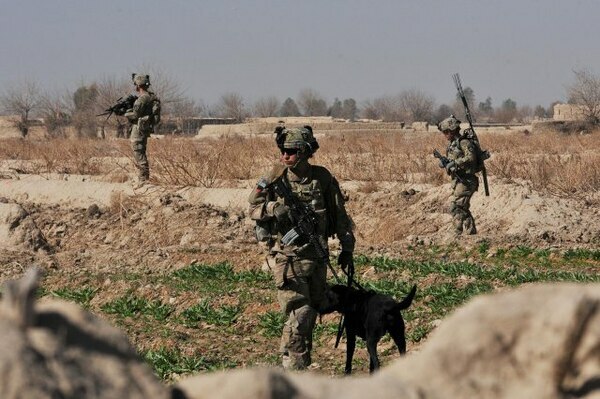 The idea was, it was a temporary program, the handlers were not MOS-rated and working on a temporary duty, and the dogs themselves would have only one job and patrol off-leash, much different than the 341st’s program. And in November 2013, the head of U.S. Central Command determined that the program had fulfilled its purpose and should be shut down by the following February. The issue, the IG found, was that because the TEDDs were operating outside of normal DoD procedure, no one had made a plan for how to re-home them after they were no longer needed, and they weren’t tracked and evaluated to the same 341st Training Squadron standard. 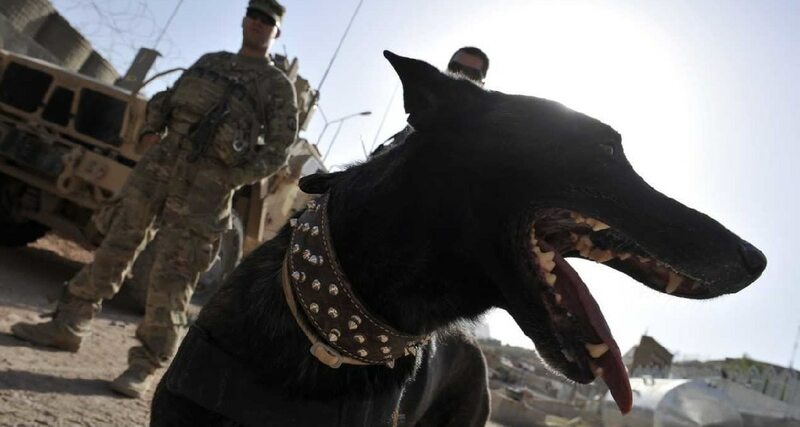 The Army had 232 dogs to get rid of by mid-February 2015, the IG report found, a mix of Belgian Tervuren, Belgian Malinois, Dutch shepherd, German shepherd, German short-haired pointer, golden retriever, Labrador retriever and pit bulls. But according to a report provided to the House Armed Services Committee, that number was 229. The IG found that three of the dogs hadn’t been reported to DoD, and couldn’t determine where they had ended up. By February 2014, the dogs had all redeployed from Afghanistan and had been evaluated for transfer to law enforcement agencies, which would receive documentation of their medical or training issues, if they had any. The Joint MWD program had a checklist that included vetting guidelines for potential civilian adopters, including a requirement to neuter all male dogs. There was also some effort to get the dogs adopted by their former handlers, but it did not become DoD policy to give handlers the right of first refusal until a year later. So for the first two weeks of February 2014, the dogs were to be featured in a law enforcement open house at Fort Bragg, North Carolina. But at the last minute, leadership decided to open the second week to private citizens. The Army veterinarians who were required to neuter the male dogs before adoption, unless they were going into law enforcement, didn’t have time to do all of the surgeries, the IG found. A total of 10 male dogs were neutered, out of 58 re-homed during the open house. “According to the Army veterinarian, due to a lack of time, the Army veterinary staff was forced to bypass the requirement to neuter male TEDDs before adoption, but they arranged a process with the TEDDs’ new owners to complete neutering requirements after the adoptions,” according to the report. In total, 27 TEDDs went to local law enforcement agencies, five to federal agencies and three to other military units. Thirteen went to a private rescue and seven were adopted into civilians’ homes. But staff had only been prepared to adopt them out as working dogs, not pets, and so weren’t prepared to vet potential adopters or educate them on what it means to own a bomb-sniffing dog. “The Fort Bragg Army veterinarian in charge of disposition during the LEA weeks described vetting of applicants for civilian adoptions as moving very quickly, and she was concerned that the applicants were not fully educated about the type of dogs they were adopting,” the IG found. For instance, the dogs had little-to-no experience around children or other other pets, and some of their more problematic habits could be overlooked while working in Afghanistan because they obeyed their trainers and did their jobs well. One of these aggressive dogs ended up with a civilian who had children. That new family didn’t have kids, the IG found, but there was nothing in the adoption record to show that the new owner had any experience as a working dog handler. Another dog, whose records indicated it might have gone through training to bite potential attackers, ended up in a home with a young child. The IG found that civilian adopters were generally evaluated based on in-person interviews and interaction with the dogs, but there was no verification of past experience with the breed or an evaluation of the home to ensure it was suitable for a former working dog. Nine days later, that dog was re-homed to a local sheriff’s department. It turns out, though, that the dogs who went straight to law enforcement didn’t fare very well, either. Three dogs were taken in by the Jones County Sheriff’s Department in North Carolina, while six more went to the Taylortown Police Department. It was a similar story in Taylortown. And the ones who went to a private company ended up abandoned, Ophardt said, before finding a happy ending. “The Army allowed 13 dogs to be adopted by a private company that then abandoned them at a Virginia kennel for more than a year — until a nonprofit canine rescue organization helped to reunite them with their military handlers,” he said. In the years since the end of the TEDD program, the Army and DoD had already made strides toward improving disposition procedures for working dogs. For instance, in 2015, it became policy to first offer adoption to former handlers. 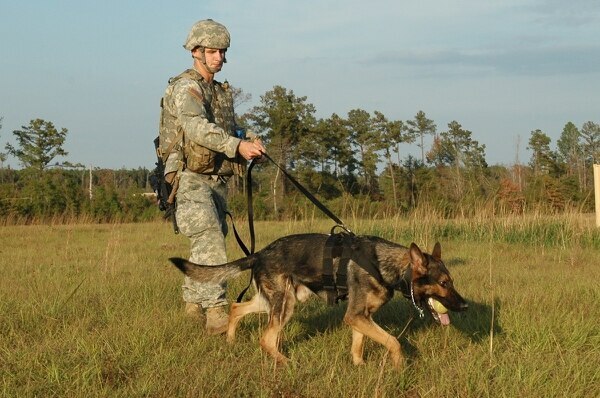 And in response to the IG’s recommendations, the Army has been updating its working dog regulation to make sure it complies with DoD standards. The revised regulation is due in March and scheduled to be published in November, according to the IG report. Further, the IG recommended that the Air Force, which oversees the traditional MWD program, should also oversee any non-traditional programs that spring up in the future, including tracking them through the DoD Working Dog Management System. The investigation also recommends standardizing adoption vetting procedures for private rescues or citizen adopters. “The Army concurs with the DoDIG report and is complying with the DoDIG’s recommendations,” Ophardt said.